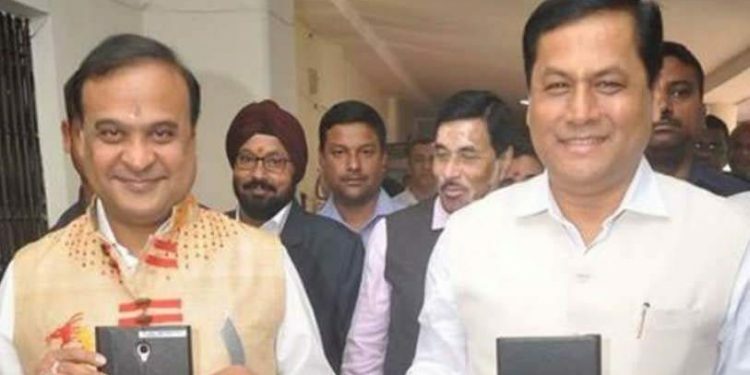 Assam finance minister Himanta Biswa Sarma on Wednesday presented a Rs 1193.04 crore deficit Budget while announcing 18 flagship schemes. These include providing rice at Re 1 per kg to 53 lakh households, one tola gold to brides belonging to all communities where it is customary to provide gold at the time of wedding and promising to create development councils for indigenous Muslims for holistic development of the council among others. The Budget Estimates of 2019-20 show a receipt of Rs 98339.05 crore under the consolidated fund of the State, the minister said in his budget speech while adding that out of this, Rs 83147.99 crore is on revenue account and the remaining Rs 15191.06 crore is under capital account. “After adding the receipt of Rs 196542.08 crore under public account and Rs 100.00 crore under contingency fund, the aggregate receipts amount to Rs 294981.13 crore. As against this, total expenditure from the consolidated fund of the State in 2019-20 is estimated at Rs 99418.91 crore of which Rs 79742.26 crore is on revenue account and Rs 19676.65 crore is on capital account,” said Sarma. “Taking into account the expenditure of Rs 194855.42 crore under public account and Rs 100.00 crore under contingency fund, the aggregate expenditure for the year is estimated at Rs 294374.33 crore. Thus, estimated transactions during the year will result in an estimated surplus of Rs 606.80 crore. This, together with the opening deficit of Rs 1799.84 crore will lead to a budget deficit of Rs 1193.04 crore at the end of the year 2019-2020,” said Sarma. Giving details of the Affordable Nutrition & Nourishment Assistance (ANNA) Yojana, Sarma said that the the government will provide rice at a subsidized rate of Re one per kg instead of the present Rs three per kg in order to further strengthen food security for the people. He said that the scheme is expected to benefit 53 lakh households across the State and added that the government will start the pilot implementation of ANNA Yojana from March, 2019. Touching upo the tea gardens workers, the finance minister said that while the government has decided to provide rice, which is presently provided at the rate of Rs three per kg, free of cost to four lakh families in the tea garden areas and two kgs of sugar per month to the families of the tea garden workers. “Once the corporation is formed during the course of the year, I will immediately allocate a sum of Rs 100 crore for taking up various developmental and employment related activities,” the minister added.